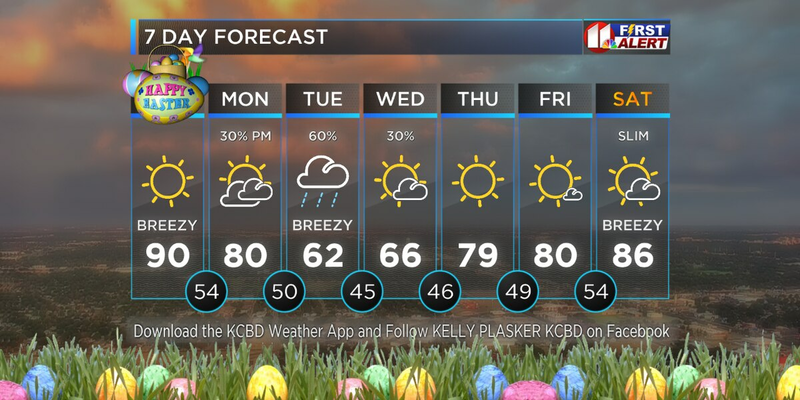 LUBBOCK, TX (KCBD) -Gusty winds are in the forecast tonight. This trend continues through the weekend. High clouds will track across the area overnight tonight. The gusty winds and increasing cloud cover will result in warmer overnight lows in the lower to middle 40’s. Southwest winds continue at 15 to 25 mph overnight. 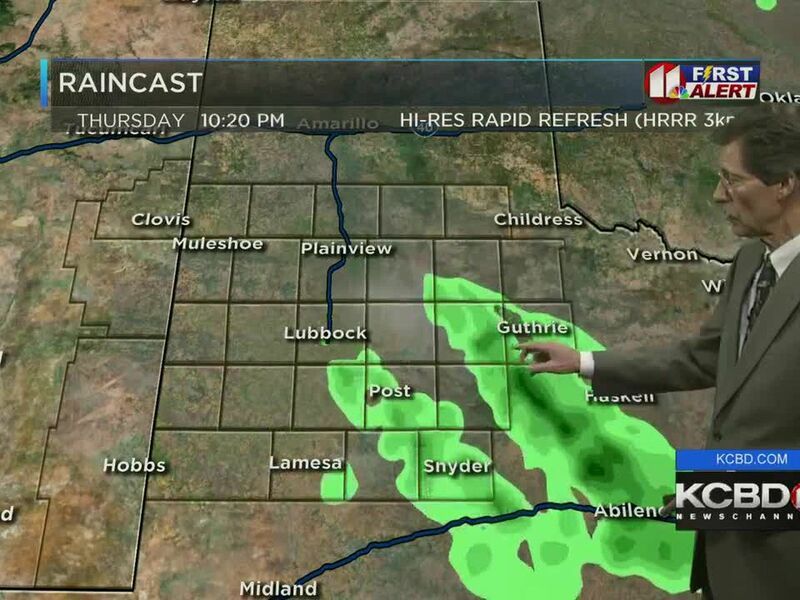 Fire dangers increase across the South Plains Thursday. West winds of 25 to 35 mph will combine with temperatures between 75 and 80 degrees to produce high fire dangers Thursday afternoon. Humidity values should drop to between 15 and 25 percent during the afternoon. Thursday is a NO BURN DAY across the local area. Blowing dust is also possible Thursday afternoon. Gusty winds and elevated fire dangers return Friday with highs in the 70’s. Saturday will likely become the windiest day of the 7-Day forecast period. West winds between 25 and 35 mph are expected Sunday. Colder temperatures arrive late Sunday into Monday with a chance of light wintry precipitation early next week. Copyright 2019 KCBD. All rights reserved. I guess you could say I was born to be a weatherman!! I was born in Kingsville, Texas shortly after Hurricane Beulah hit the South Texas coast spawning over 100 tornadoes. All in all, I've seen Texas Weather from nearly every corner of the state. 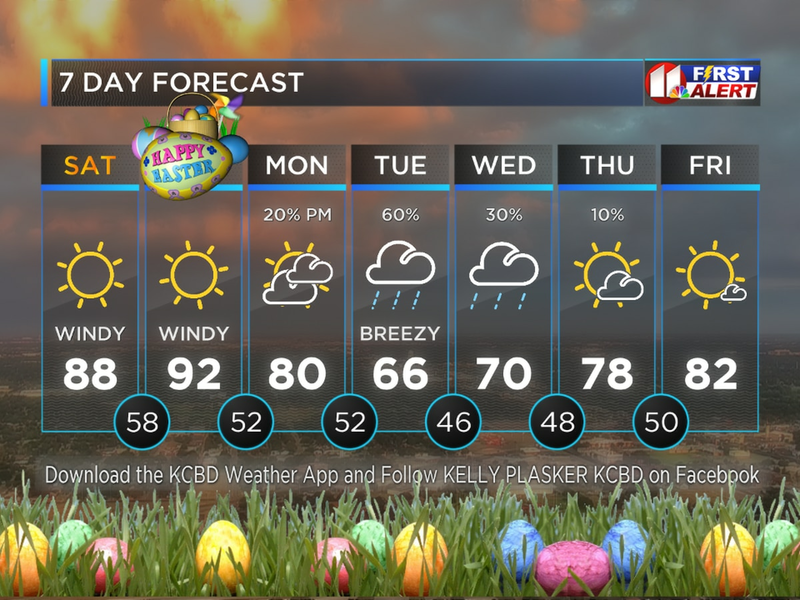 Easter: Cold, warm, or hot?